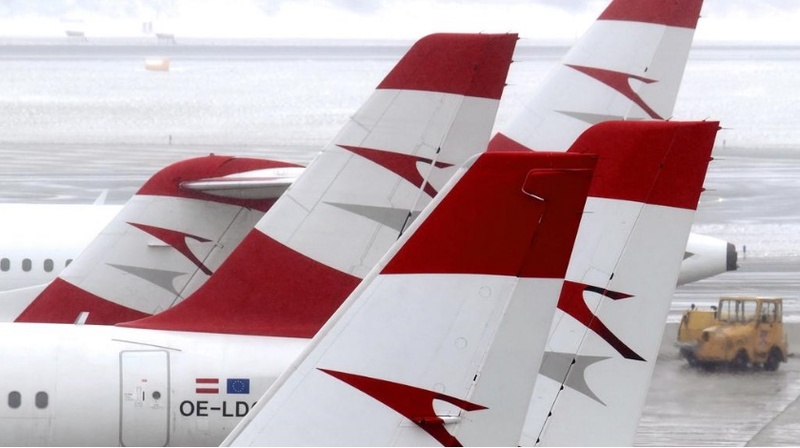 Lufthansa subsidiary Austrian Airlines has canceled more than 140 out of 570 flights March 6-7 as collective bargaining meetings are expected to interrupt flight operations, affecting 10,000 passengers. As a precautionary measure, Austrian said it has adjusted operations and thinned out schedules by 25% during this period on flights between Vienna and Amsterdam, Basel, Brussels, Budapest, Bucharest, Dusseldorf, Yerevan, Frankfurt, Geneva, Hamburg, Cologne, Copenhagen, Leipzig, Lyon, Milan, Moscow, Munich, Prague, Salzburg, Sofia, Stockholm, Stuttgart, Tehran, Venice, Zagreb and Zurich. Austrian Airlines has 3,900 cockpit and crew members. Trade union Vida called management’s offer of a 2.1% inflation compensation and one-time payment of 1.4% “unacceptable.” Vida said also strikes cannot be ruled out. Austrian’s management said it considers the two-day work meeting to be “completely disproportionate,” adding, a labor dispute during ongoing negotiations is the wrong answer to more jobs, more career and more money. The staff meetings are set up for Tuesday 1600 GMT and Wednesday 0500 GMT.